Are you thinking about Valentine's Day yet? It's hard not to with Bo Bunny's Love & Lace I Want It All Bundle. 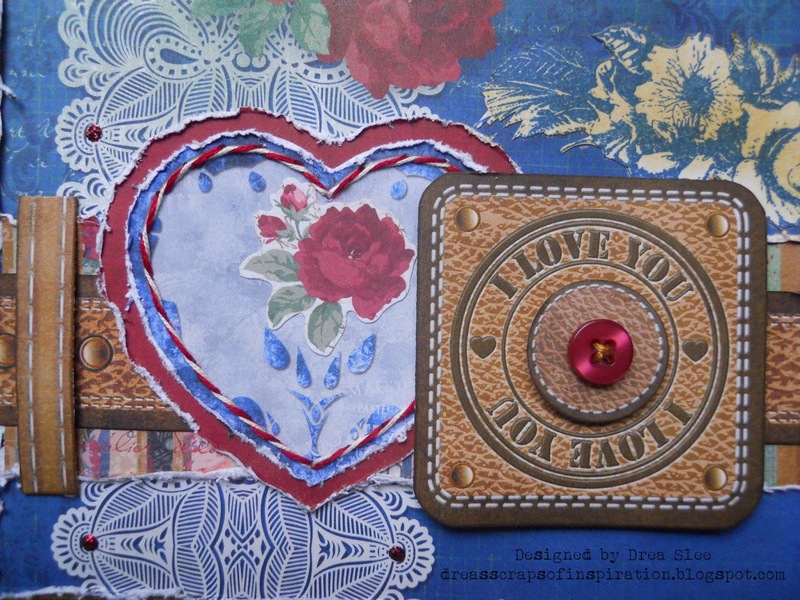 I wanted to combine the feminine and masculine touches with this card that I made for my husband. I decided to create a belt by cutting the leather strip and belt loops from the 12 X 12 Collection Pack, and inking the edges with Gathered Twigs Distress Ink. 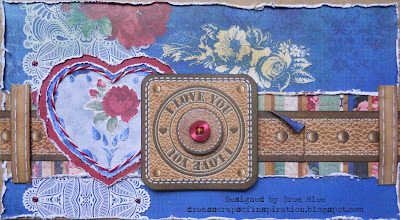 Then I popped up the buckle, which I also cut from the paper, and the leather circle from the Noteworthy Pack, adding the red button to the center. 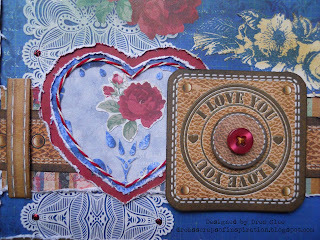 I also added the little red rose from the Noteworthy Pack to the center of the heart, stitching the twine around it. 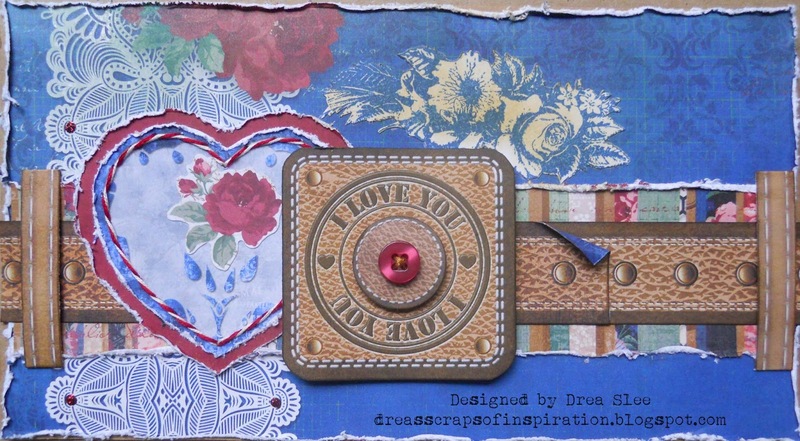 I used white cardstock and blue permanent ink to stamp the floral cluster on top, with the Bo Bunny Floral Stamp. Then I fussy cut around it, inking over it with Distress Inks (Antique Linen and Frayed Burlap). To finish it off I added three dots of Burgundy Stickles to the white lace on the blue "Passion" paper. This collection is so beautiful and perfect for Valentine's Day, which still gives you plenty of time to pick up your own bundle at FotoBella! Have a great day! Love the combination of masculine and lace. Great card.